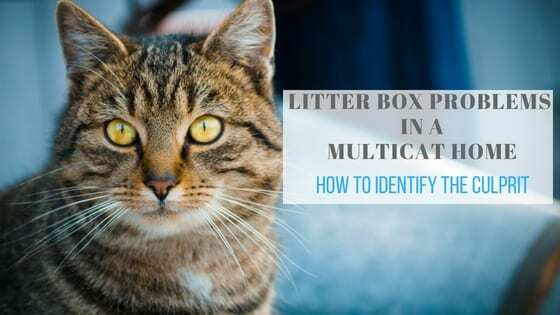 When it comes to a litter box problem in a multicat household, the first, and often most difficult, step is to identify which cat is exhibiting the unwanted behavior. You may think you know which cat peed on the carpet but if you’re wrong, you could create major setbacks in the behavior plan. So how do you go about finding out which cat has turned your living room carpet into a giant litter box or has sprayed against your favorite antique chair? Don’t automatically assume the problem is behavioral, even if your cats have been throwing hissy fits at one another. 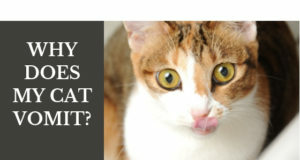 There could be an underlying medical cause for the behavior and you certainly wouldn’t want a cat to needlessly suffer. Additionally, stress can actually contribute to the onset of medical issues relating to the litter box. Get out that cat carrier because it’s time to make a veterinary clinic appointment. 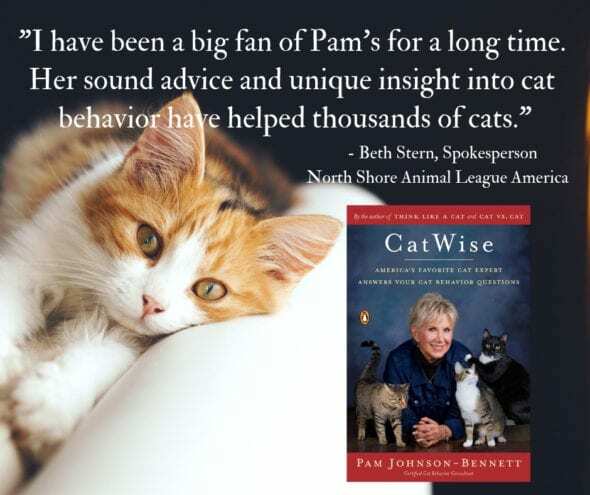 With a multicat household, just how do you decide which cat to take to the veterinarian? If you have just two cats then it’s safest to bring them both. In a more cat-dense household, you may want to start with the most likely suspect. You also have the option of using video surveillance to help you identify the cat in question. The most accurate way to determine which cat is eliminating outside of the litter box is to set up a surveillance camera. There are so many options on the market these days and they won’t break the budget. If you don’t already have a surveillance camera set up in your home, the most inexpensive one I’ve found is by Wyze Cam. The cameras run about $20 each. This post is not a paid endorsement and I’m sure there are other cameras out there that are excellent, but if you don’t already have a video security system set up in your home, this is a very inexpensive way to do it. With their app, you can easily see what’s happening in the house from your smartphone and view recorded footage from the SD card. There are many other brands of cameras so choose the one that’s right for you but in my opinion, it’s well worth the investment to be able to accurately determine what’s happening when you aren’t around.